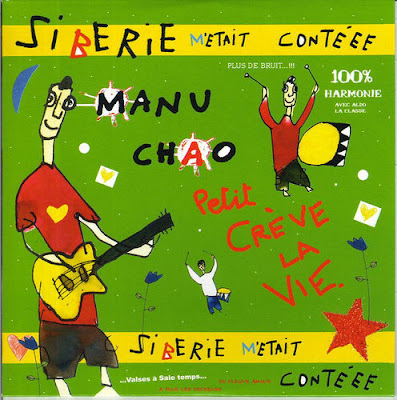 Not a new album from Manu Chao (maybe later this year? ), but a reissue of the least-known item in his solo catalog. This recording was originally issued in 2004, accompanied by a 133-page book marvelously illustrated by Polish cartoonist Jacek Wozniak; it sold out in no time and costs a pretty penny today if you can track it down. Lyrically, this is Chao’s only all-French album, a love letter to his home town of Paris. 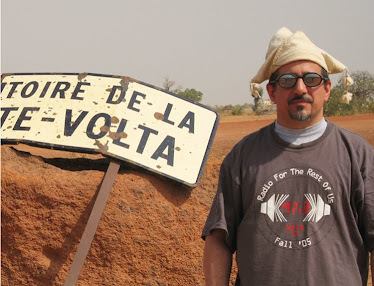 (The title is an elaborate pun: literally “If Siberia was told to me,” but a broader reading might be “What Paris is all about.”) Musically, it was recorded around the same time that Manu was producing Dimanche A Bamako for Amadou & Mariam; you’ll hear elements of that album on tracks like 15 and 23. French chanson, one of this cosmopolitan singer-songwriter’s myriad influences, comes to the fore on tracks 3 and 4. Track 10 is a wonderful introduction to Chao at his poppiest. And my favorites are 5 and 6 (the latter a tribute to Manu’s friend Helno of Les Negresses Vertes), best heard as a medley like his most famous material on Clandestino and Proxima Estacion: Esperanza. Not just for Manu Chao completists, this is a fine album on its own merits.